11 Perfect Pork Chop Recipes to Get You Lickin’ Your Chops! We have a fun game that we play every night. Hubs asks, “What would you like for dinner?” I answer, “Hmmm, I don’t know.” He says, “I’ll make pork chops!” Every time. Hubs would eat pork chops every night if he were a bachelor. I know it. He would still buy a family pack and invite all of his bachelor friends over. They would have a feast with couscous and pork chops! 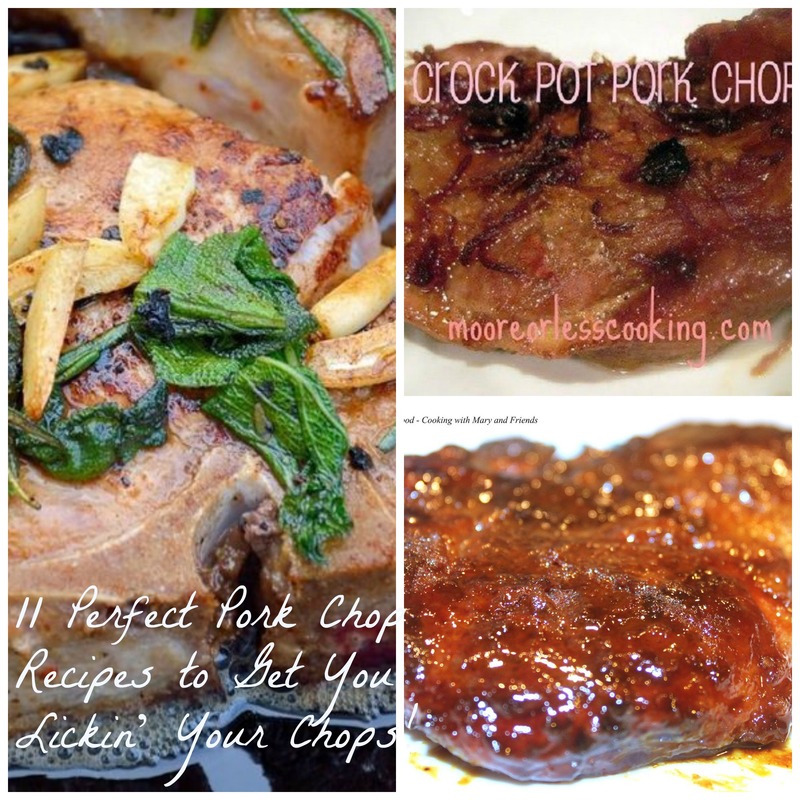 I love pork chops too, and there are so many ways to make a delicious chop. It’s easier than you think. Here are 11 wonderful pork chop recipes that will have your family going back for seconds!